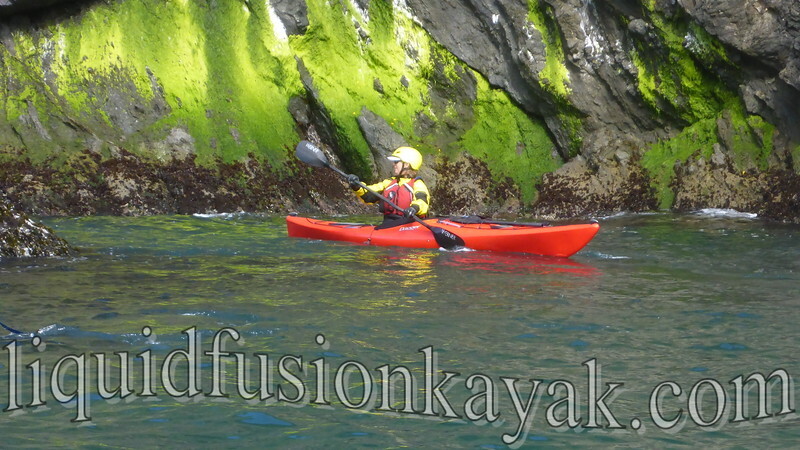 This weekend Jeff and I taught Liquid Fusion Kayaking's Sea Kayak Rock Gardening Class. We built our students skills as individuals and as a team as we guided them through the rock gardens and sea caves of the Mendocino Coast. Our students had many key learning moments. One particular skill that worked for them this weekend was this pry that helps with looking behind when paddling in dynamic water. 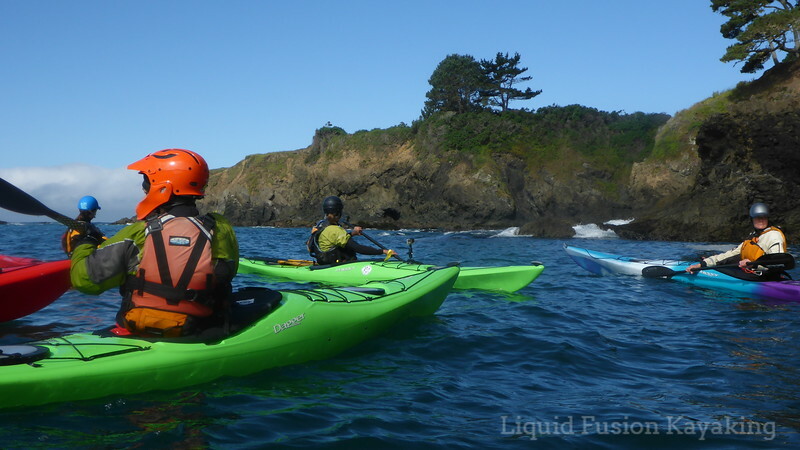 360 degree awareness is key when kayaking in dynamic ocean waters. One needs to be aware of waves, the environment, wildlife, and paddling teammates. When the water gets bouncy, paddlers tend to have difficulty turning and looking over their shoulders. Dynamic water is one of the most critical times to be able to effectively look over ones shoulder but one of the most difficult. I have found this pry technique to work. I call it the owl pry. Sitting in your kayak, take your left paddle blade and place it next to your right foot. Anchor your blade against your kayak and use this to gain stability to rotate your torso to look behind you. The stretch feels good, improves stability, and allows you to increase your range of torso rotation and safely look over your shoulder. Start practicing it in flat water on both sides, then give it a try in dynamic water and let me know if it works for you. So why do I call it the owl pry? Might have to take a class with me to find out - it will definitely be a hoot. My blog has been a bit quiet lately but life certainly hasn't. 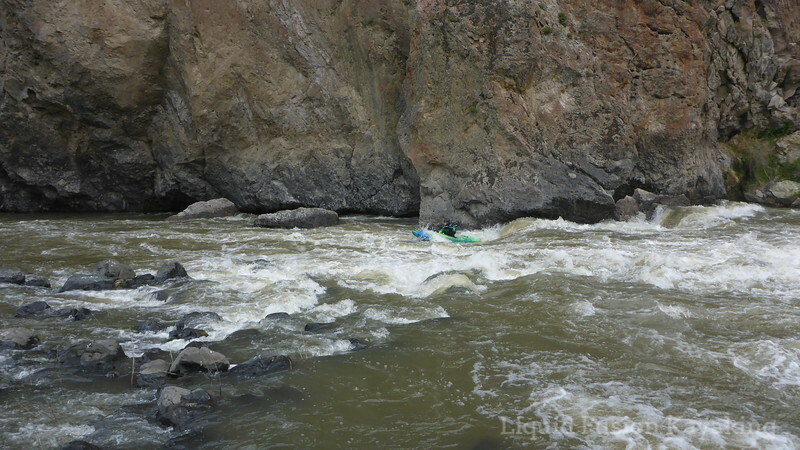 March wrapped up with a 5 day whitewater kayak self support trip on the Eel. We had lots of water, the flow was high, and the trip was spectacular. About to go over the drop of Kekawaka Falls on the Eel River at over 10,000 cfs. We returned home from the Eel and packed our sea kayaking kit for a trip to the Oregon Coast for a photo and video shoot for the new Dagger Stratos. 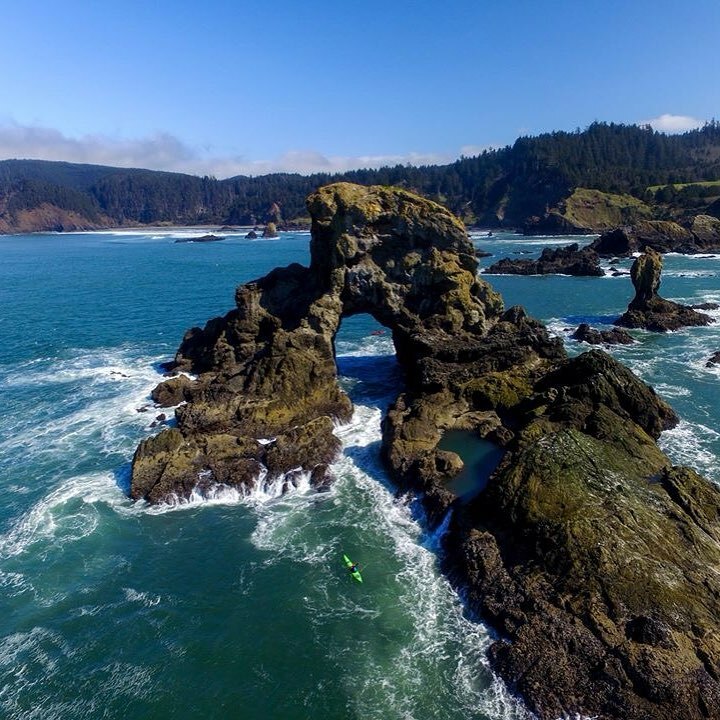 I was beyond excited as one of the shooting venues was in the Ecola Beach area where Goonies was filmed. Just before we got on the plane to Portland, my sister called from Pennsylvania - dad was missing. He was hiking in the local mountains with his dog and didn't come home the previous evening. 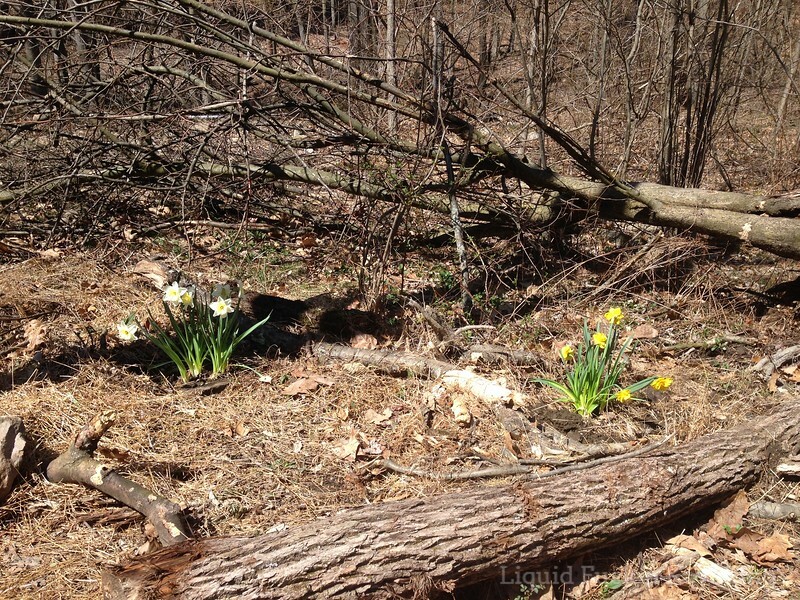 The Pennsylvania State Troopers were searching but couldn't find him or the dog. She, my brother and neighbors were going out to look for them. At the airport in Portland, I sent Jeff on to the photo shoot and booked a flight to Pennsylvania. During my travels, my mom called to say that they found him and he was dead. Eight miles into his hike, he sat down on a log to have a snack and his heart stopped. The neighbor that found him said that he had a peaceful look on his face. My family dairy farms in a rural area of Central Pennsylvania. When word was out that dad was missing, the local hunters, farmers, neighbors, and friends rallied to go find him. The love and support of the community was amazing. I was thankful to be there with my family and our friends to process our loss. It was a difficult but special time for us - reminiscing on dad's quirky sayings and wry sense of humor, sharing memories, and receiving visits from neighbors, family friends, dad's colleagues, and hunting buddies. Dad will be missed by many, but we all are thankful that he didn't suffer and spent his last day hiking in a place that he loved. After some time in Pennsylvania helping out with matters (including helping get the family vegetable garden going), Jeff and I returned home to California. We were 2 weeks off of our preseason work schedule and supposed to be leaving in a week for our annual Spring Run-Off Trip. We vowed to gut it out, work hard, and go on our trip. Then we had several major computer issues. We were both feeling really stressed and depressed about our workload and the likelihood of not getting to do our Spring Run-Off. Huge kudos to our friend and computer tech Lin for getting our computer back up and running. 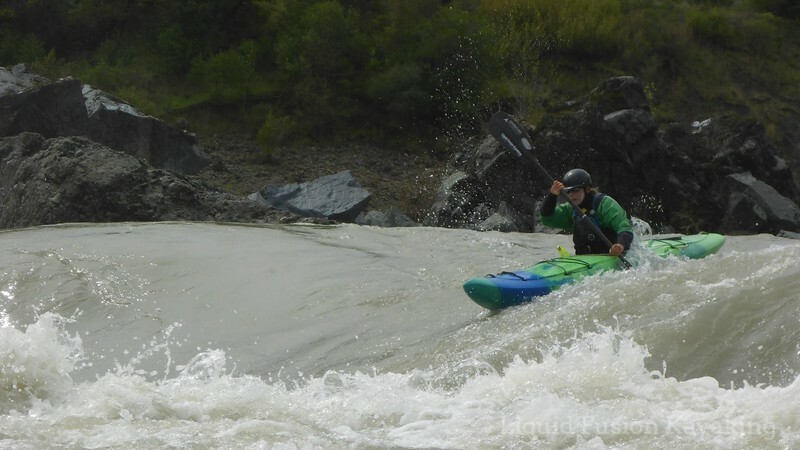 We buckled down and got some work done, decided the rest could wait, and decided to pack up our Jackson Karma RG's and run-off and chase the snowmelt as it runs off - down a river. Off to the Owyhee River we went. "Oh Where eee?" might be a better name for it. It is in the southeastern corner of Oregon about a hour and a half from Boise, Idaho. We were prepared for a low water run but were pleasantly surprised by a last minute storm that stalled out in the mountains and gave us a nice flow. It was a spectacular trip with fun whitewater, hiking, and camping on geologically fascinating river. We are home now with lots of work but lots of great memories and a promising summer tour season. 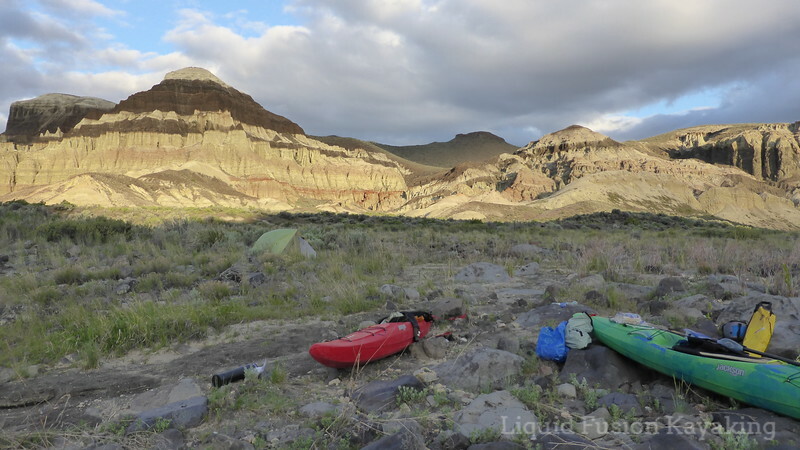 I am looking forward to sharing photos and tales from the Eel and the Owyhee and some fun tidbits on self support whitewater kayak trips.